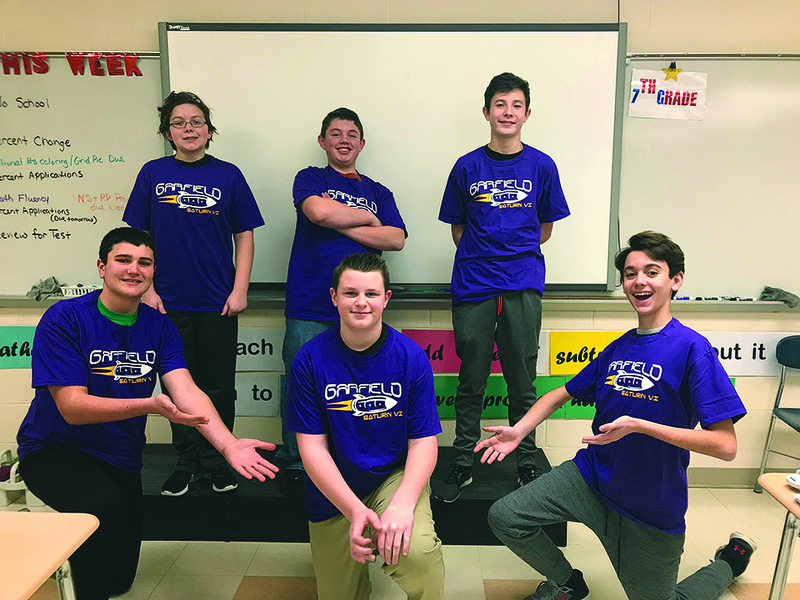 Garrettsville - On Sunday, December 2, five Lego teams from James A. Garfield traveled to the regional competition in Aurora. It was a day of judging, coding, competing, and camaraderie. The competition is completed in three parts. There is a research project portion, a second part which asks teams to work together and share their “Core Values”, and the final section is the robot game, where the teams compete to complete missions using the Lego robotics program and the EV3 robot. Twenty teams participated. Three teams from Garfield Elementary competed : the Mighty Moons, the Space Unicorns, and the Lunar Lizards. Mrs. Ensinger, Mrs. Cupples, Mrs. Ring, and Mr. Wright helped coach these teams. Each of these teams represented GES in true G-Man fashion, being dedicated, team-players, who never gave up. All of these teams left with a feeling of accomplishment and excitement for next year. The Supernovas and the Saturn VI were two teams from Garfield Middle School which also competed. These teams, coached by Ms. Shafer and Mr. Hatcher, are composed of veterans, and that experience was very evident! The Supernovas team of Jack Rado, Max May, Landen Gedeon, and Daniel Valdman did well in the Core Values and Project areas and placed in the top 7 in the robot game. The Saturn VI team of Daniel Ensinger, Jackson Sommer, Blake Horvath, Cameron Edwards, Kristopher Carson, and Jack Carmichael earned the highest score in the robot game. They also advanced to the District competition at the University of Akron on December 15. We can be proud of all of these students and look forward to seeing Saturn VI compete in Akron! We have an impressive community which supports such magnificent learning experiences for our students!